Below is an abstract of my doctoral dissertation. Paul Cézanne: The railway painter. In the foregoing paragraph, we saw that Cézanne, who painted The Ferry at Bonnières (summer of 1866) (Fig. 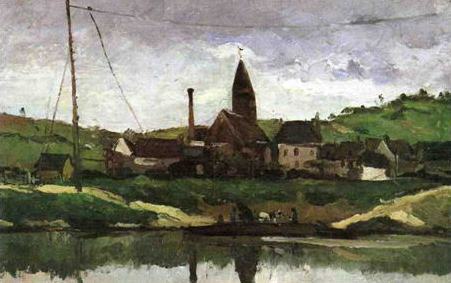 1), topicalizing the railway station, telegraph pole, and electric wires, was the first among impressionist painters to depict the steam railway. In other words, among impressionist painters, Cézanne had the most acute sensibility with regard to the steam railway, which was the typical subject of “modernité” (modernity) in those days. 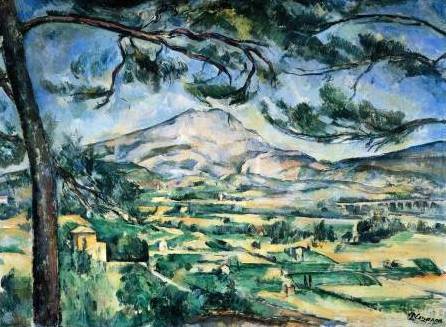 Actually, Cézanne moved around France on a steam train from the 1860s to his later years. Camille Pissarro’s letter to his son Lucien on January 20, 1896, shows that Cézanne took a train on the Paris-Aix line to travel between the two points. 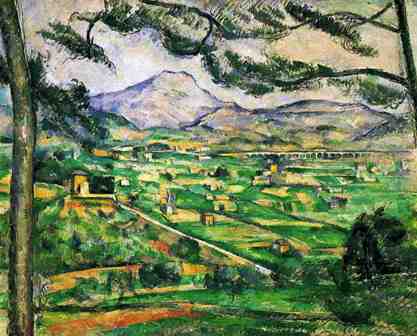 Moreover, Aix, which was Cézanne’s base throughout his life, is a railway town. In fact, the railway station (Fig. 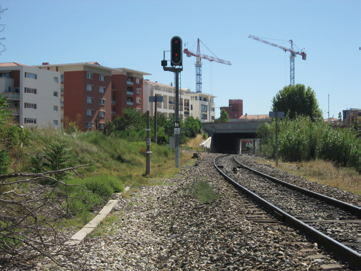 2) near the main street of Aix connected three train lines. 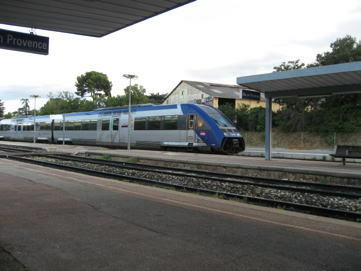 Chronologically, the railway company P. L. M. opened the train line from Aix to Rognac on October 10, 1856 (25 km) (Fig. 3, Fig. 4), from Aix to Meyrargues on January 31, 1870 (26 km), and from Aix to Marseille on October 15, 1877 (34 km) (2). photographed by the author on August 26, 2006.
photographed by the author on August 23, 2006.
filmed by the author on August 24, 2006. 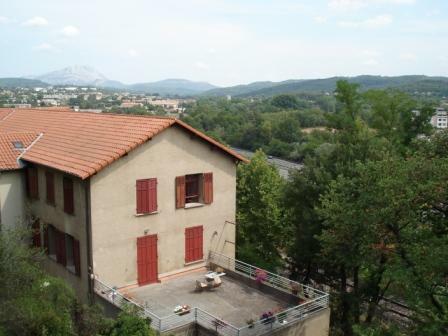 It is remarkable that Jas de Bouffan, Cézanne’s residence in Aix, was situated near the train lines from Aix to Rognac and to Meyrargues. 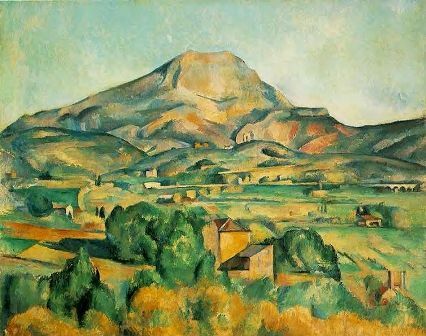 Therefore, in a span of about 40 years, whenever Cézanne stayed at this house, which contained his atelier, he must have been conscious of the steam locomotive that roared past his house. Furthermore, it is important to note that, while he lived in Aix, Cézanne drew many railway subjects in various ways. 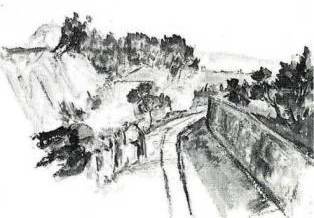 First, Cézanne sketched the railway cutting on the Aix-Rognac line as visible from his house garden about 100 meters away (Fig. 5) to create The Mont Sainte-Victoire and the Railway Cutting (c. 1870) (Fig. 6). Second, in his preceding works, he painted not only the railway cutting but also the railway signal on the same line (Fig. 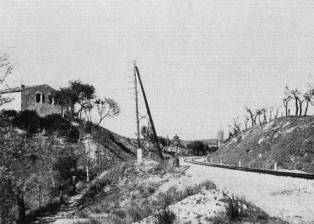 7): The Railway Cutting (1867–1868) (Fig. 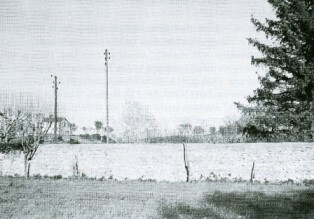 8) and The Railway Cutting (1867–1870) (Fig. 9). Third, The Railway Cutting (1867–1870) (Fig. 10) depicts the railroad as well as the railway cutting. These paintings show his enthusiasm as he tried to topicalize the steam railway in his early years in Aix. photographed by John Rewald around 1935. In addition, Cézanne depicted the railway bridge on the Aix-Marseille line. 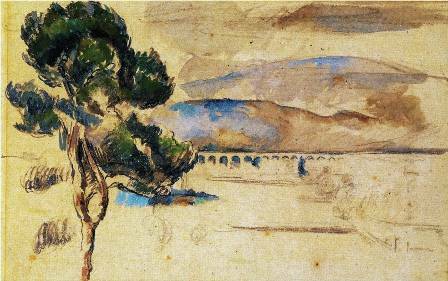 In fact, he sketched the railway bridge that spans across the Arc River and the valley in a suburb of Aix (Fig. 11-Fig. 13), as shown in The Mont Sainte-Victoire and Large Pine (c. 1887) (Fig. 14), The Pine before the Arc Valley (1883–1885) (Fig. 15), The Viaduct of the Arc Valley (1883–1885) (Fig. 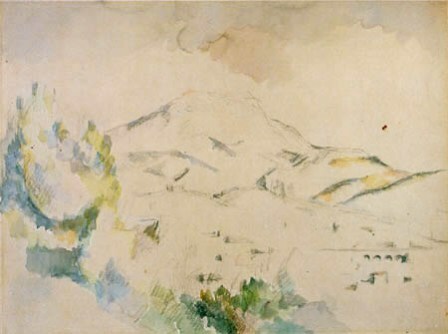 16), The Mont Sainte-Victoire (1892–1895) (Fig. 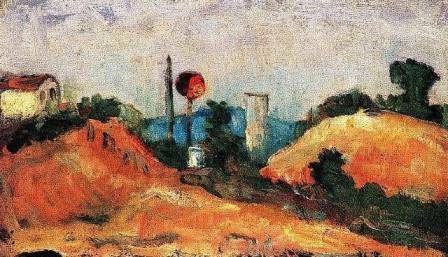 17), The Mont Sainte-Victoire with Viaduct (1885–1887) (Fig. 18), and many other paintings. 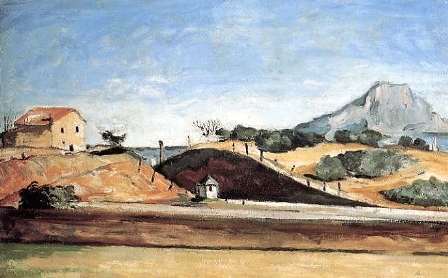 Cézanne also painted a steam locomotive on the Aix-Marseille line. Actually, he depicted the train passing through the railway bridge at Arc valley (Fig. 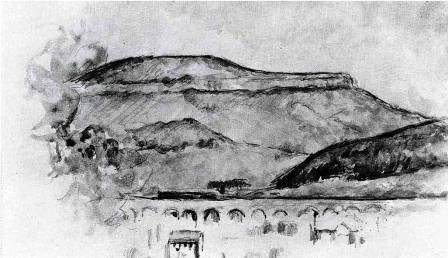 19), as shown in The Mont Sainte-Victoire Seen from Bellevue (1882–1885) (Fig. 20), The Mont Sainte-Victoire and Large Pine (1886–1887) (Fig. 21), and The Arc Valley (c. 1885) (Fig. 22). photographed by the author on August 24, 2006.
filmed by the author on August 25, 2006. 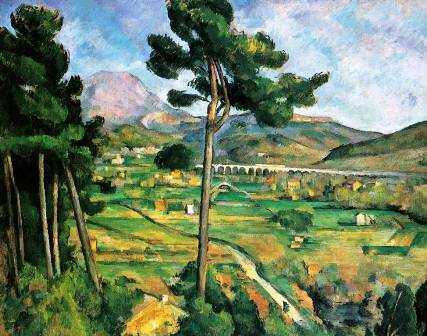 Surprisingly, Cézanne even enjoyed taking an electric train on the Aix-Marseille line, including the railway bridge at Arc valley. As we were finishing our luncheon, he dismissed the carriage and announced that he was going to Marseilles to see “the rest of the family.” We went off to the tram and, during two hours of torrid heat, we chatted cheerfully. His radiant mien, healthy appearance, and carefree attitude delighted me (4). 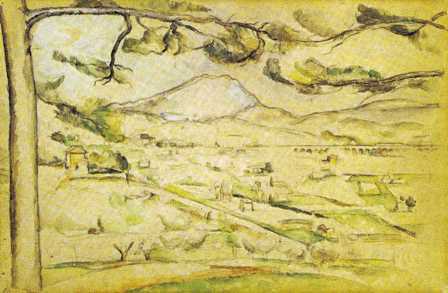 From these facts, it is certain that, even in Aix, the steam (or even electric) railway had already become a part of Cézanne’s daily life, and, as a painter of modern life, he was passionate about railway subjects such as the railway cutting, railway signal, railroad, railway bridge, and steam locomotive. (3) Marcel Provence, Le Cours Mirabeau: trois siecles d’histoire 1651-1951, Aix-en-Provence: Éditions du Bastidon Antonelle, 1976, p. 82. This is a revised edition of “New Viewpoint on Art: Cézanne and Steam Railway (3)” published in Nihon Art Journal, May/June, 2012.